I have really enjoyed the collaboration process and could not have asked for a better group of people to create artwork with. I have been incredibly lucky in that I have made friends from collaborating as well as creating interesting artwork as a group. We immediately got on and started thinking about how we could amalgamate all of our strengths into a group project. We quickly noticed that the one thing that we had in common was drawing and set to work on researching artists that have produced collaborative drawings together. We met up numerous times to produce collaborative drawings in coffee shops and café’s as well as at university and I can confidently say that creating these drawings didn’t seem like an inconvenient effort to any of us and that we all thoroughly enjoyed spending the time creating art together. I think the secret to our success was that we kept the sessions very casual and never put too much pressure on anyone, we just took in the experienced and enjoyed each others company. In terms of the work we created, we were all amazed by how well the drawings that we made were turning out and wanted to challenge ourselves further. We decided to incorporate mixed media into our work. We met up and each brought something to make marks with that we felt related to our discipline or sketchbook work. The pieces ended up being textural and sewn into and covered in tissue paper, drawn on top of, sketched into and painted on to create incredibly successful outcomes. We felt that all the drawings showed a little piece of each one of us and our individual projects as well as containing our journey as a group. I have learnt a lot about working with others and acquired further social skills from working with strangers. Looking back, I don’t think that anything was unsuccessful about collaborating with these people. A few things didn’t quite go to plan like we had to rearrange meeting up sometimes and sometimes members of the group had other commitments but I quickly learnt that that’s life. The works we created have all been successful in their own right but in my opinion the most successful work is our final stop motion animation. It shows all of our drawings coming together to create one drawing, just like us individual students came together to form a collaborative art group. I had never experimented with clay before and animating it was a lot of fun. I have learnt a lot from the members of my group. Some of them used tracing paper to draw on in their sketchbooks which inspired me to incorporate its use into my photo-manipulations. It has ended up being a key component in the consolidation of my individual work and I don’t think it would have been without participating in this collaboration. I would definitely not have produced a stop motion animation of my photo-manipulations if we hadn’t experimented with producing them as a collaborative because I’m not sure I would have been confident enough because of the sheer number of photographs that were included. I was shocked by how well our collaborative drawing animation turned out and it definitely inspired me to make one of my own as a final piece portraying the hidden loneliness of city life. We all agreed that the journey we have undergone has been far more important to us than the outcomes that we have created. I have learnt so much from the collaboration process and would definitely recommend it. I feel it has taught me how to be more of a professional art practitioner from having a professional relationship with others. We enjoyed our time together but we knew we had work that we needed to get done so I feel we all learnt how to formulate a healthy balance of work and play. I am delighted to say that we all agreed that we would stay friends and that if we ever needed any artistic advice then we would all be happy to help each other out as it is always useful to obtain the opinion of students specializing in another discipline. We all went for a drink after our final presentation and reflected on what a positive experience collaboratively making art has been for each of us. I have learnt that collaboration is very give and take. You have to work together, take in the input of others and give your opinion in order to be successful. We agree that this book is more of a piece in itself rather than something to support our collaboration because it is a collaboration, it includes work from all of us and everyone’s different handwriting makes it quite personal. We will be including this video in our final presentation. After producing quite a successful and substantial body of work focusing on the use of monochrome colouring and sepia tones, I have decided to investigate whether these colours are affecting the loneliness of my work. After producing my green shaped underpainting, I started thinking about the fact that the figures didn’t appear to look as lonely as in my darker works and so I would like to clarify this by briefly investigating and producing some brighter works and analysing their success in showing the hidden loneliness of city life. To start, I thought it would be beneficial to investigate whether existing artists have attempted to show loneliness in cities through bright colours. 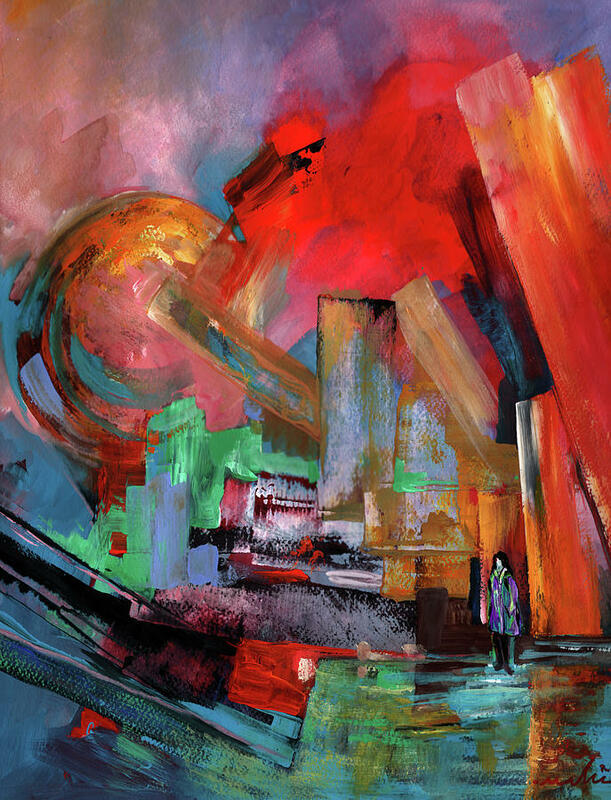 I have come across a few, but I do not feel that the figures within them feel as lonely, because darker colours create a negative atmosphere and bright colours a positive one, so the figure seems to look like they are just happily walking through a colourful city even though they are alone, rather than feeling down and depressed by the fact that they are. 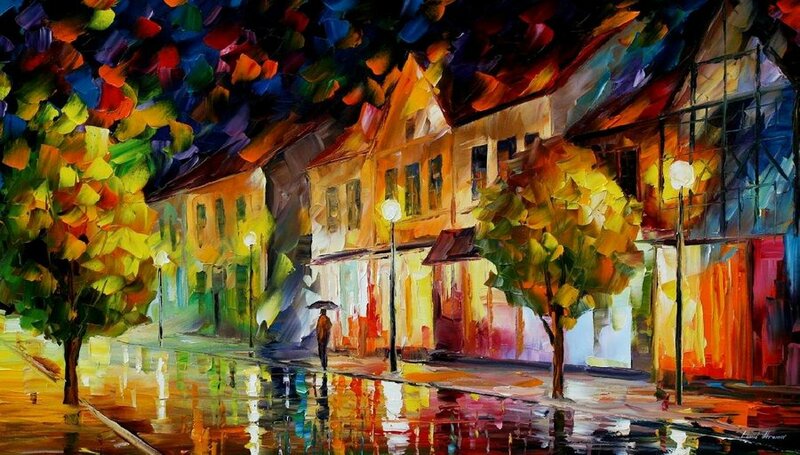 I am really drawn to the technique adopted by Leonid Afremov, however, in terms of portraying loneliness, I just feel that the figure looks as if they are walking back from somewhere by themselves. 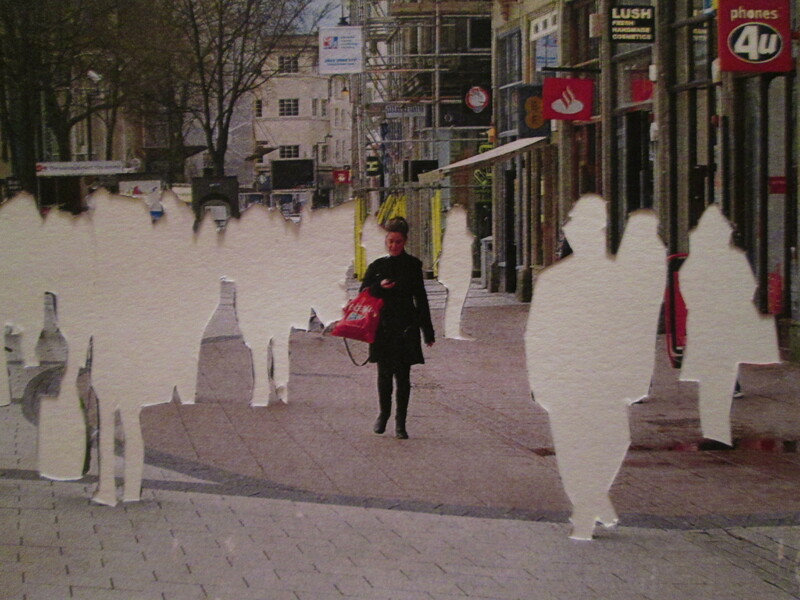 In my work, I am investigating portraying loneliness in the city where there is others around you. It is horrible to think that there are so many people but you interact with no one which heightens how lonely you feel in my opinion. 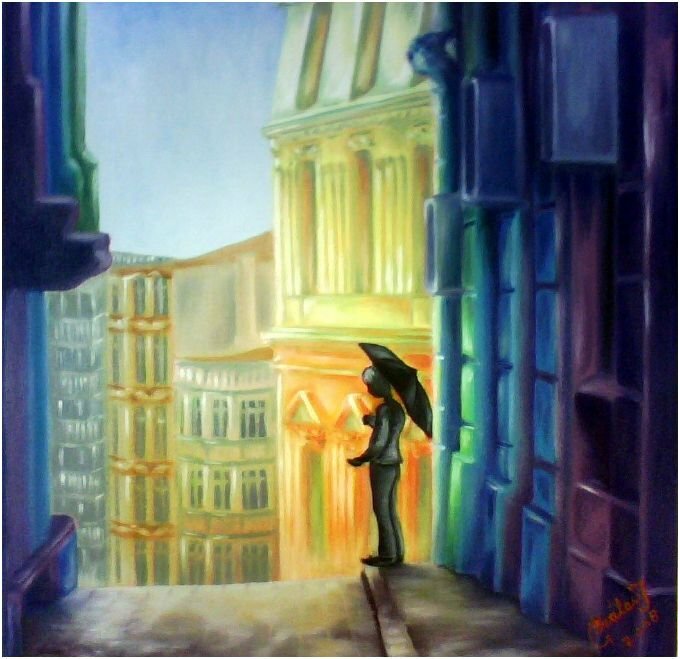 This is a beautiful painting but I am not sure it portrays the same message as my work or is successful in showing loneliness in the city, partly because of the bright more positive colours and partly because there are no other people for the figure to feel lonely around or feel like they don’t exist to. I think the abstract nature of Miki De Goodeboom’s piece is highly successful, even though there is no city like imagery behind the figure, because of the square and geometric shapes our brain seems to associate them with one. Here, I do feel that the figure looks lonely, I think it is because of the chaotic looking city and the figure seems to look overwhelmed being alone within this chaos. Also, the colours here are not as bright as in Afremov’s work. I like the softness of the work here, Even though the colours are not as vibrant as the other two artists I have looked at, the artist has still used brighter colouring to portray inner city loneliness. Again, here I feel that the figure does look lonely. I think this is to do with the fact that the world around them is colourful and they are painted in blacks and greys. The work makes me feel as if the figure feels alone and as if they don’t belong in this environment. After exploring how existing artists have portrayed loneliness in cities through the use of brighter colours, I am going to investigate it myself, I will produce some coloured works and experiment with the idea of there being lots of people around you but no interaction, just as I have in my darker works. I will then analyse the success of this and decided whether it is more affective to paint Urban Loneliness in bright or darker colours and continue to work with whatever the verdict is. I came across the work of Laura Lina whilst browsing around “the circle walked casually exhibition” situated at the Kunsthalle in Berlin. Her work inspired me to think about how I could use my photos to their full potential and how I could start manipulating them and drawing on top of them as a quick way to get my ideas flowing and display something visually interesting at the same time. 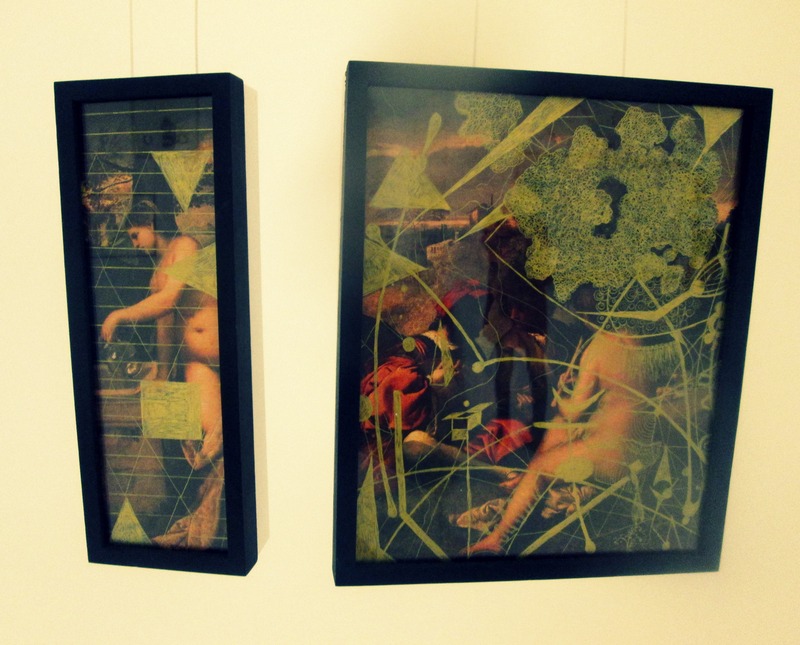 Above is an image of her work that I took in Berlin, The colour palette of these images is interesting to me, they look very grand and renaissance. She has drawn on top of existing imagery using gold pen and framed them simply as stand alone art pieces. The shapes and lines are very geometric and contrast with the curvature of the women within the underlay nicely, however interestingly at the same time they seem to complement one another. 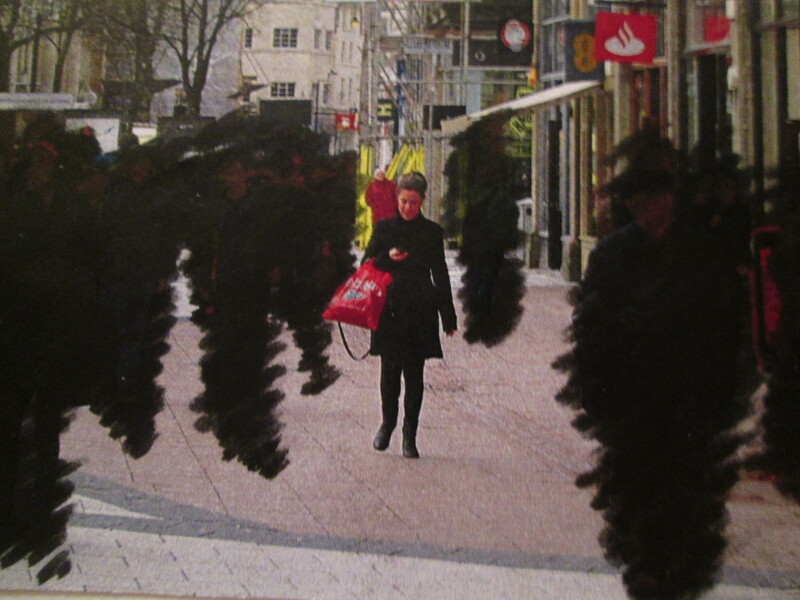 Laura Lina’s work was the initial inspiration to my own photo manipulation related to my project on hidden loneliness in cities. I started thinking of ways to show to show this idea using my photos as a medium of their own. 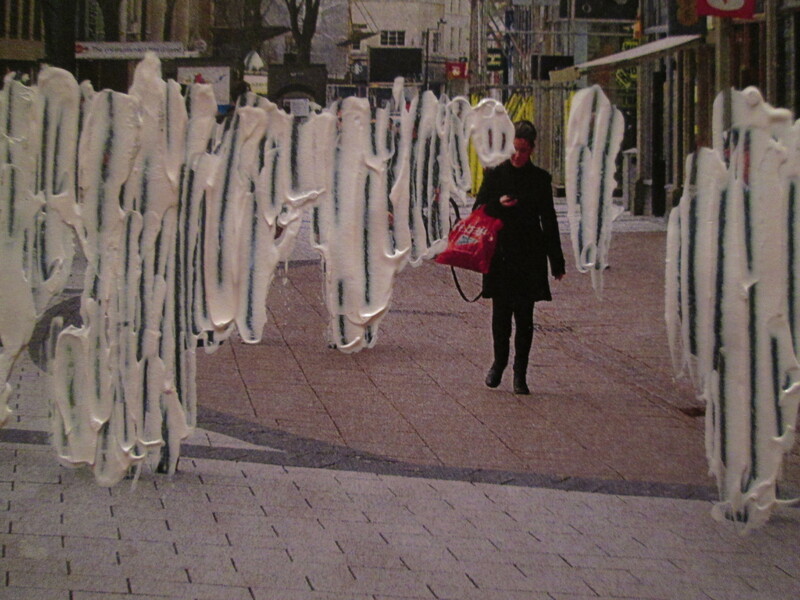 I have started experimenting with cutting people out the pictures, scribbling over them and painting on top of them. I have eradicated all the other people apart from one in different ways to show that when in the city, even though you are surrounded by people you are still lonely. There is no interaction and you may converse with no one all day. The images in the previous post were black and white. I thought that I would do some colour experiments too to fit in with the inspiration of Laura’s work. This process has allowed me to think about how I can portray my ideas in paintings and final pieces etc without having to spend ages producing trial and error experiments that may be unsuccessful. It has shown me I can use existing imagery as a starting point to fuel my investigation into a project. I think these images are highly successful. They definitely portray being alone in the city and accurately convey the idea that the other people around you may as well not be. It may be interesting to explore the idea of the fact that the people around you don’t even notice you really. You are just a body that they are passing by with no identity. I could portray this by not showing any facial features or things that would identify them. I believe that collage, photo manipulation etc is a brilliant way to start making work and can show you ways of portraying an idea that you hadn’t thought of before. I will now use this research and experimentation to influence paintings/mixed media pieces that I will produce. Whilst doing some research yesterday I came across a few artists that relate to my work. Looking at the work of Gail Wright, Haruko Okano and Robert Rauschenberg instantly made me think of the moulding artwork that I have created (shown below for reference). 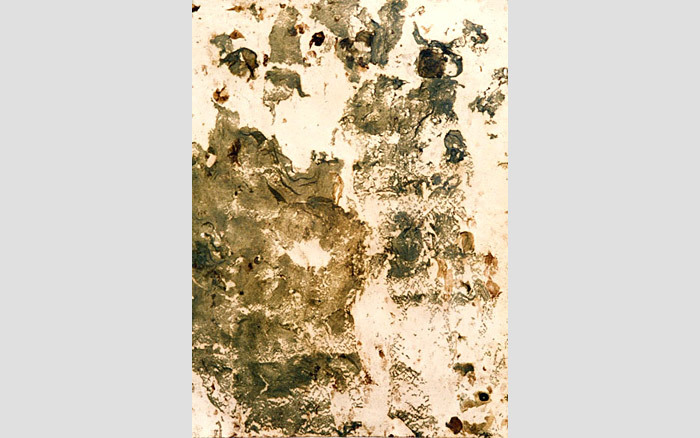 Like me they have created artworks that decay over time and used mould to create an art piece. I am starting to see that making a moulding artwork can change people’s perception of decay. 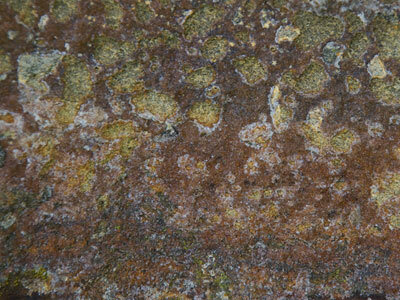 If there is a mouldy canvas displayed in a gallery it is instantly less disgusting and more appealing to the viewer. The viewer is encouraged to look at it as a piece of art rather than a horrid entity that has grown on your food in the fridge. It’s quite interesting that the setting and context of something can change how people feel about it. CreatIng time lapses (as seen below) are also an interesting concept as it allows the viewer to see a process that normally they would not. 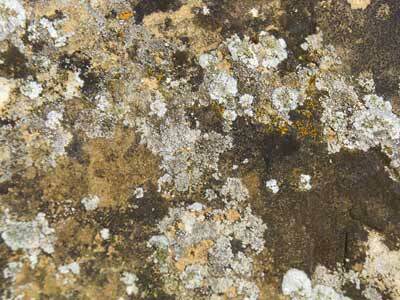 Mould and Decay is constantly overlooked and considered to be something horrid and that should be thrown away. But in reality, mould can create homes for millions of tiny organisms and as I found out fruit flies love to live in it. 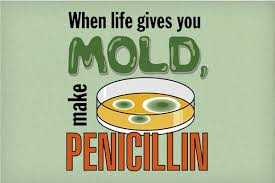 Most importantly, without studying the growth of mould and its properties we would be without certain medicines and antibiotics such as Penicillin. If we can ingest tablets that are made from it, then WHY CAN’T WE CONSIDER IT AS ART. Gail Wight has produced many moulding artworks and time-lapse videos of the development of living organisms. She is highly interested in the idea of living art mediums which could not be more relevant to my project on food decay. Her work, I feel captures a beauty within the mould, something I would like to capture within my work. The work definitely changes the human perception of how you would describe mould and pushes the boundaries of what art is. Gail Wights work encourages me to be confident in my project and not to worry about what other people think of the work I am creating. I would like to make people see that there are a lot of hidden beauties in the world that we overlook and mould and decay is included in that statement. 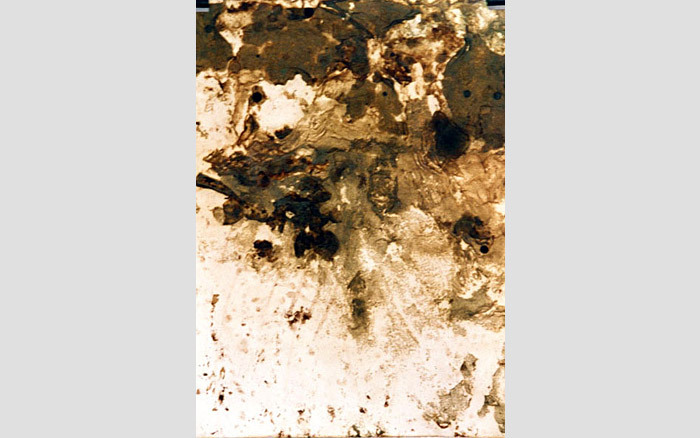 Below, are some of Haruko Okano’s mould paintings created in 1997. Okano’s pieces were among the first existing moulding artworks I saw. In this artwork, the mould was cultivated in a large 8ft by 4ft tank in a solution of black tea and sugar. His work encourages me to use tea and sugar within my work at some point to see what results I get. However, Unlike these artists I have far more limitations and do not have the facilities to leave things to mould over long periods of time. There is a very specific colour palette to these moulding artworks and they almost do not look like mould at all. 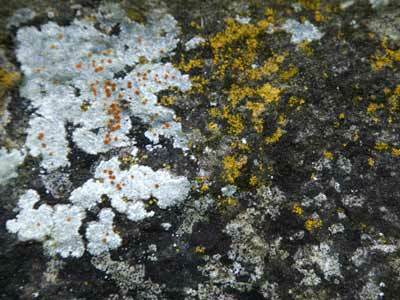 They could easily be paint or mixed media canvases. 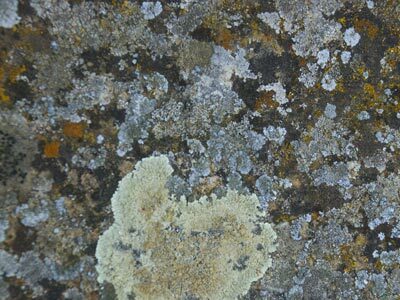 I like that the viewer here would wonder whether they are looking at actual mould which is something I have tried to capture in my paintings of mould using sugar and paint and cotton wool. I know that this is the case because my peers and tutors have had to ask me whether they are made using real mould or not. To me, this means they are highly successful artworks. 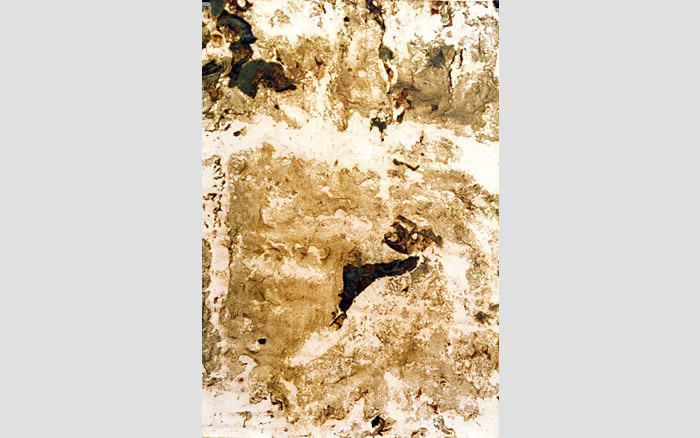 Rauschenberg has used a combination of dirt and mould to produce this artwork. It was a highly controversial piece when it was produced and as it was exhibited, people were creating their own response to it and questioning whether it could really be called art at all. Personally, I feel that it is visually beautiful and interesting to look at. All of these artist are deeply influential to my project. 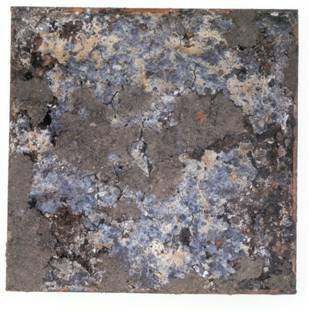 All see mould and decay as a medium in which to create art. I will continue researching artists that relate to my work because I feel it is highly beneficial and helps you develop new ideas and concepts. I was influenced by quite a few artists when thinking about the use of and how to use photo montage. These influences include artists such as: Kay Smith, Richard Hamilton, David Hockney and POSTERBOY. 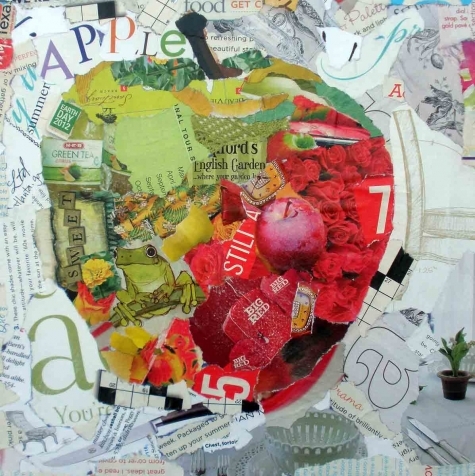 Kay Smith’s Apple first encouraged me to think about the possibilities of collage and photo montage. I like that you can clearly see what the image is of within her work but it is made up of a variety of different images and textures from the magazine cut outs and bits that have been collected to create it. I also like the repetitive use of the letter ‘A’ and the way the background has been arranged. Kay’s work encourages me to use photo montage and collage to create something that you simply wouldn’t achieve if you were producing a painting or drawing. 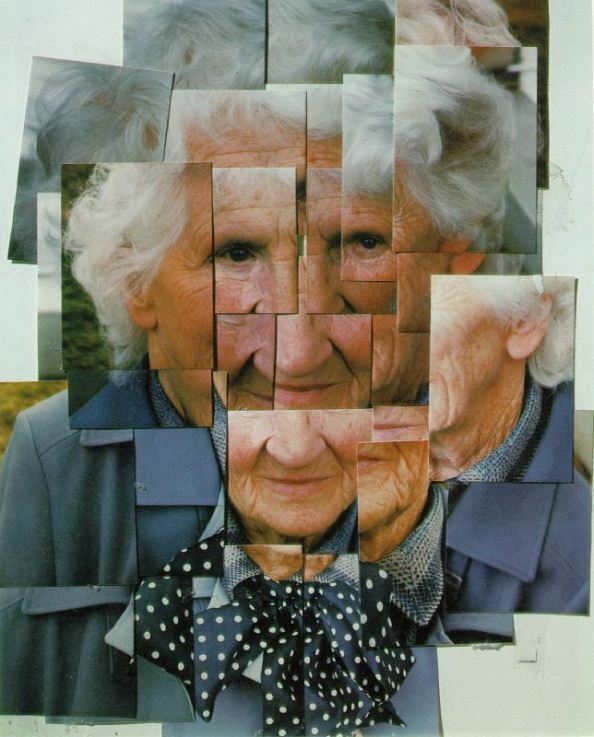 I am drawn in by the visual aspect of Richards work, He constructs new faces and designs by using parts of old ones. This was the first time I thought about making NEW THINGS FROM THE OLD OR EXISTING and therefore Hamilton’s work is highly influential to my work and thought processes. Both artists played a part in inspiring me to make new decaying foods from old rotting ones. David Hockney’s collages are highly distinguishable and recognised around the world. 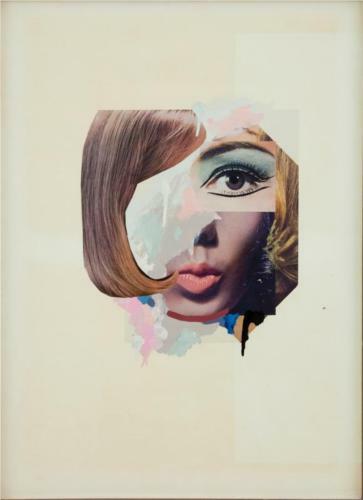 His work made me look at collage and photo montage in a very different light. He uses layering and here, places parts of the human face in the wrong place but our brain can still see what the image is of. This inspired me further to create new decaying foods from existing ones because his work proved to me THAT OUT BRAINS WOULD STILL KNOW THEY WERE FOODS EVEN THOUGH THEY WEREN’T SPECIFIC FOODS WITH NAMES and that they wouldn’t end up looking like a load of random cut outs on the page. Another influence of my photo montage and in fact my main inspiration was a New York based street artist that goes by the name of POSTER BOY. By using a razor, Poster Boy slices up advertisements in the subway system to create completely original works of art. He cuts out parts of posters, imagery and lettering and then glues them onto another existing poster to create a completely new meaning within it. Due to the illegal nature of his work, Poster Boy remains anonymous. People watch him creating his works and take a few minutes of their time to view his creations, sometimes believing that poster actually exists/was originally made that way. His influence meant I felt that my photo montages of food would be believable. You can make interesting imagery .a lot more quickly than by painting or drawing with photo montage and collage. You can also use collage to get your thoughts down quickly and easily and to map out your ideas for a painting or drawing.